The whole of this building is available for us to investigate including; the council chambers, grand jury room, court room and mayor's parlour. 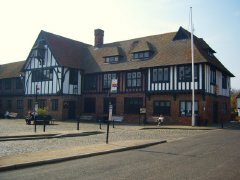 Experience a night of ghost hunting at Sandwich Guildhall with Ghost Hunt Events. Participate in Séances, Vigils, EVP Experiments, Ouija boards, Automatic writing, table tilting, table rapping and much more. VIP tickets available at The Guildhall for £10 extra per person, see VIP info for information. 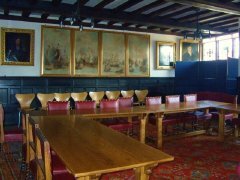 View all our evidence from The Guildhall. 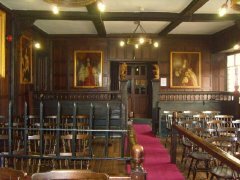 Read our Investigation Reports from The Guildhall. Wow, what an amazing place, the noises were incredible, and when spirit sat down in the chair next to me and tapped on the table I was speechless! !